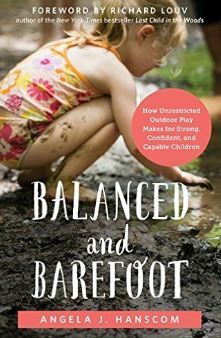 Parents want to raise well-rounded kids who are comfortable in their own skin and with navigating in the natural and digital worlds. 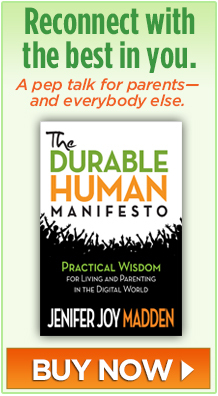 These advice books help parents and other care-givers to achieve that goal or to care for themselves in the process. 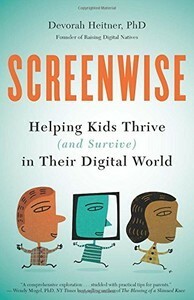 The sensible guide to raising digital citizens we’ve all been waiting for, Screenwise: Helping Kids Thrive (and Survive) in Their Digital World finally gets how kids use technology and how parents can support their efforts. Author Devorah Heitner is thoroughly respectful of both sides of the equation and never talks down to, judges, or belittles anyone. Her book is chock-full of practical use-‘em-now tips and she gently instructs and builds the confidence of kids’ first and best digital mentors: their parents. This book doesn’t just skim the surface, it gets gritty and granular, supplying the words and tools we all need. Choose mentoring your child over simply monitoring what they do online. Have clear, consistent boundaries and explain them to your kids. Pay attention when your kids need you, or as Heitner says, “Be here now.” Why that’s absolutely crucial.